'So Far So Good' is the title of the brand new Buster James album and also gives a clue that career wise the best is just about to come. 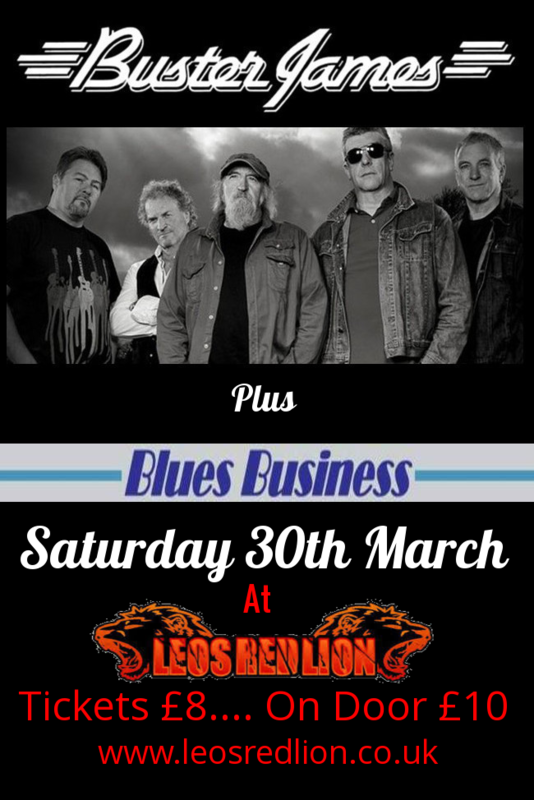 This high energy rockin' blues band have been the explosive detonator at many a festival up and down the country and are about to expand on the hard won loyal fanbase by linking up with Cadiz Music to take their latest recording to a national audience, having recently featured heavily on BBC Radio (Stephen Foster) and Radio Caroline. Front man Roger James transfers his charismatic personality and outstanding vocal abilities easily on disc, backed by long time cohorts Richard Young (guitar/ keys) and Mark Holmes (guitar). Add to that the solid rhythm section Paul Hale (drums) and Del Fletcher (bass) and you have a juggernaut of timeless classic rock. These guys have paid their dues and honed their skills between them having recorded with the likes of Steve Marriott, Iron Maiden, Dave Stewart, Bill Wyman, Dire Straits and FM. Buster James have long been acknowledged as one of the best live bands on the UK circuit. This release proves that they are also a powerful force in the studio with the ability to write catchy rock songs for the here and now.